Welcome to Guusto! This article provides a quick overview to help you Get Started with Gifting (you may also be interested in our guide to Getting Started with Nomination Box). Click any of the links for more details about a specific section. Customize your profile to fit your preferences (learn more). The Dashboard provides an overview of your account's activity (learn more). This is a great way to quickly see how things work before you are ready to send a real gift (learn more). 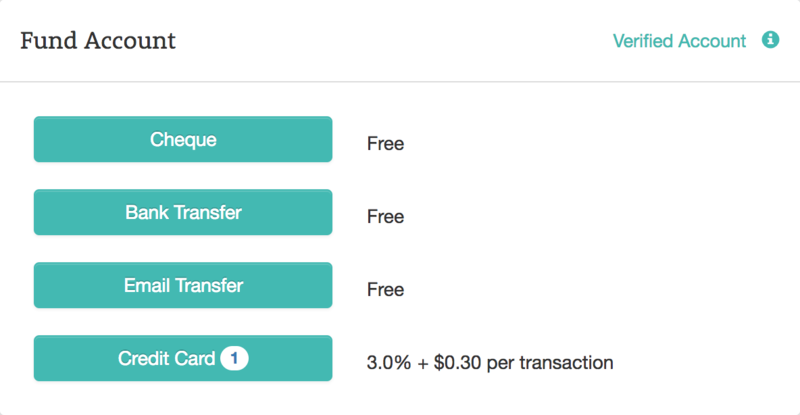 You can request that your Team Admin transfer you some funds or give you access to Team Balance, or load funds into your Primary Account using cheque, bank transfer, email transfer, or credit card (learn more). 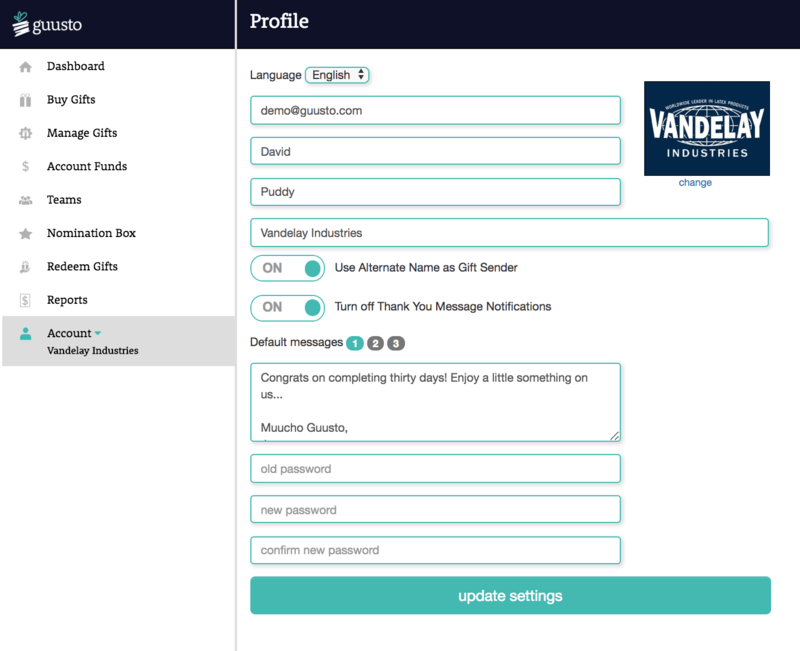 You can send gifts on your computer by logging in to the web platform (learn more). Note: If your company has firewalls preventing employees from viewing websites, get your IT department to whitelist guusto.com and guus.to domains. 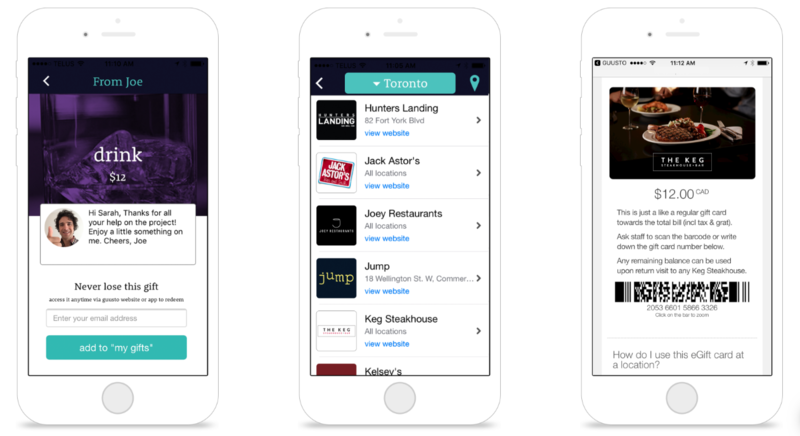 You can send gifts on your phone using the mobile app (learn more). The Manage Gifts page acts as a command centre to track and control all your sent gifts (learn more). No app required! 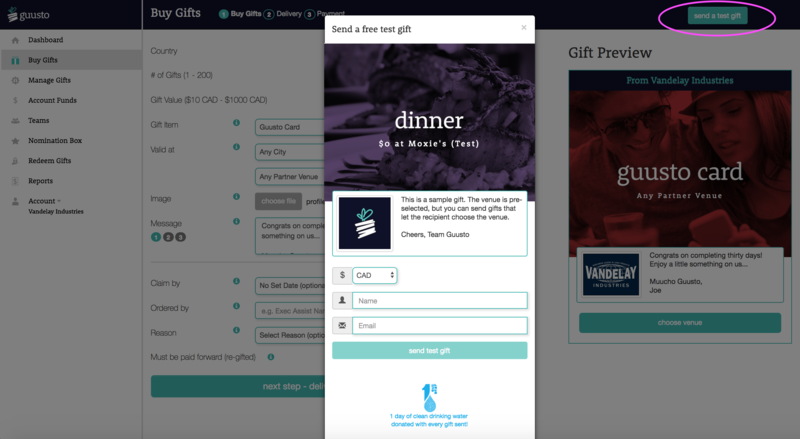 The recipient simply clicks the link to redeem through the web on phone or computer (learn more). 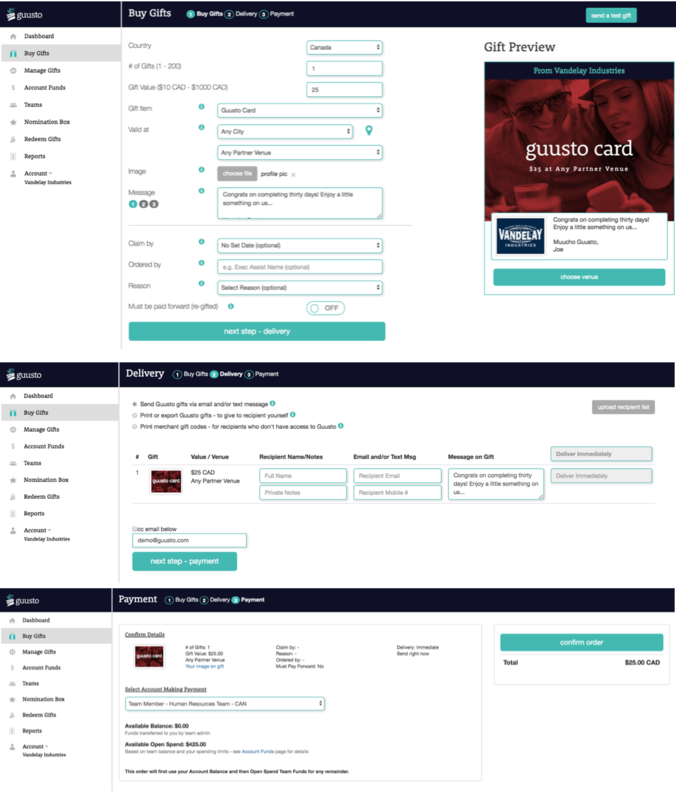 Use Guusto to its full potential by creating teams to build a culture of real-time recognition (learn more). Learn more about Getting Started with the Nomination Box. Contact us anytime if we can be any further help.